Los Angeles Harbor Lodge (formerly San Pedro Lodge) No. 332 is the Home of the Hiram Award. Probably one of the most dedicated, ENTHUSIASTIC and hard working Freemasons in our area was Brother Walter L. Kemmerer, a member of Los Angeles Harbor Lodge (formerly San Pedro Lodge) No. 332, who was the originator of the Hiram Award. 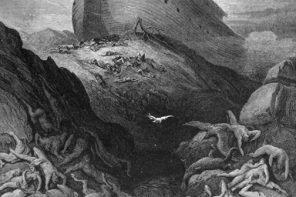 We offer this article with the thought that you consider it before the next Hiram Award Ceremony in your lodge as with time many have strayed from the original precepts. The following is the original and should be the present intent of the program in the following words of Brother Kemmerer. The first Hiram Award was presented by Worshipful Vern L. Belcher at San Pedro Lodge No. 332 F. & A.M. on 8 February 1964. The recipient was Past Master – 1932 – Andrew D. Miller, Jr. It was held in the lodge room for Master Masons only. Each time we had a presentation of the award from then on there was always a very good attendance. In October 1976 while attending Grand Lodge I was approached by Worshipful Walter Heimgartner of Galt Lodge No. 267 and asked if I was the one who was the originator of Mariner’s Night in San Pedro. He wanted to know if I would assist his lodge in planning a dinner. I said I certainly would, not knowing where Galt was. I soon found that Galt was located east of Sacramento and since I agreed I told him I would assist him regardless of the location. I suggested a dinner be held in the lodge dining room and that an award be presented. I was informed the lodge dining room would only seat between 99 and 102 for dinner. I told him if we were going to have an event we should have a larger dining room and his reply was that his lodge was the largest dining room in town that was possible for us to use. I suggested they look around and see if they could get a larger room, maybe even a barn. After weeks of searching, Worshipful Heimgartner called me and said he had obtained an old administration building from the school department. However, there was no water or toilets in the building. I suggested he make arrangements with the gas station for the facilities which was one block away. This was all accomplished. I suggested that they select a brother of the lodge who had served his lodge, his community, his country, and his God to present with a special award to be called the King Solomon Award. This was agreeable to all and the selection was Glen W. Ingram, P.M., of Galt Lodge. About a week later I thought, “why call it the King Solomon Award since we were having such good success with the Hiram Award in San Pedro?” I contacted Worshipful Heimgartner and asked him if he would make the change and he did. Galt Lodge at that time had 102 members and the population of the city of Galt was 4,500. I suggested they contact the various localities and invite other lodges to attend as well as ladies, children and non-Masons. Everything worked like clockwork and on Tuesday 8 March 1977, the dinner was held. It was a complete success with 456 dinners served which was 10% of the town’s population. They came from far and wide, from many parts of the community. In attendance was Past Grand Master of Masons in California, John F. Roberts, Jr., and his lady; and there were County Supervisors from Sacramento and San Joaquin counties. Entertainment was by the Sweet Adelines who came from Stockton as well as the Shrine Band from San Francisco. Worshipful George Hunt, Master of Galt Lodge, made the presentation to the recipient on behalf of his lodge and his fellowmen. Brother Walter L. Kemmerer, representing the Grand Lodge Committee on Film and Creative Projects, was the guest speaker. When the Grand Master of Masons in California, Kermit Jacobson, heard of the great acceptance of the award he called and congratulated Brother Kemmerer on the success of the event and told him he thought it would be a good thing for the Grand Lodge to initiate. A meeting was arranged by Senior Grand Warden Donald G. Ingalls and the Chairman of the Film and Creative Projects Committee to discuss the project. It was agreed to try it for one year on the road and see what effect it would have. Needless to say, it was an immediate success and resulted in requests from other states for information regarding the Hiram Award. From the very inception of the Hiram Award in San Pedro, H. Douglas Lemons was interested in the program and was appointed to the committee by Grand Master Kermit Jacobson. When he became Grand Master he was very instrumental in making presentations as well as approving of the Award. 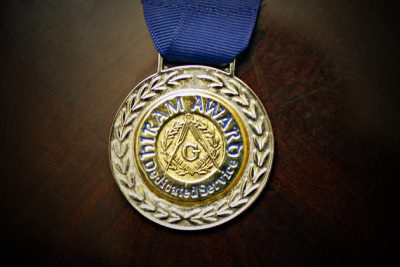 The question arises as to who shall receive the highest award Grand Lodge and Blue Lodge can bestow upon a brother. The answer is: a worthy Master Mason. 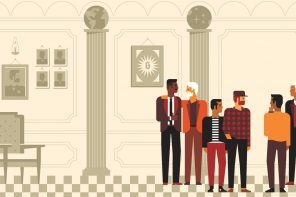 How many should a lodge have in one year? The answer is one per year. It should never be a secret presentation. The responsibilities are too great and the shock may cause serious damage even to a strong and healthy brother. Also, the recipient must be notified once he has been selected to receive the Hiram Award so that he can invite his friends and relatives. Some have traveled from the East Coast to attend a presentation. There was a case where two sisters and a brother came from the East Coast to see their brother receive the award and they had not seen him for 32 years. There shall never be more than one Hiram Award presented in one evening and no other presentation should be made. Positively, never two or three at the same time. In one case we heard of a lodge having eight in one evening. Remember, brethren, this is a solemn event and when you have more than one you take away from the very reason you are honoring a brother with the greatest award his lodge can give. It is his night…and his night alone. 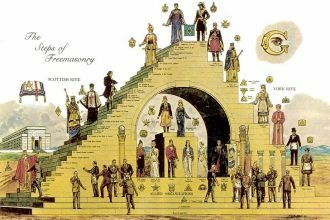 Remember, my brethren, Masonry owes a great deal of gratitude and a special tribute to our many brethren who have devoted their lives to the Fraternity, and so, in return, let us give them one night alone to stand at the altar and be recognized by his brethren throughout the world. The author was a long-time member of Los Angeles Harbor Lodge No. 332, consultant to the Grand Lodge of California’s Film and Creative Projects Committee, and the originator of the Hiram Award.